North Korea has promised to shut down its main nuclear weapons test site, but some analysts have already concluded that portions of it have collapsed, NBC News reported. Experts also said that dismantling the Punggye-Ri test site won't change what weapons North Korea already has, which amount to a credible nuclear deterrent. But the office of South Korea's president announced Sunday that North Korean dictator Kim Jong Un has agreed to close the site. 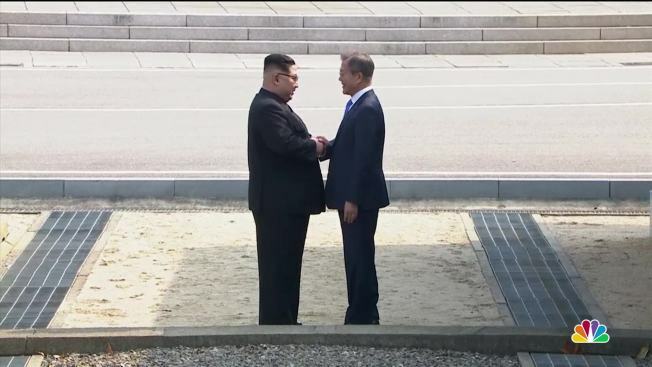 The two leaders have jointly promised "complete denuclearization" of the Korean Peninsula by the end of the year. "If reports are true that the tunnels have collapsed, then the test site would be useless for future nuclear tests anyway, so it would just be a symbolic gesture to close it down," said Duyeon Kim, visiting senior fellow at the Korean Peninsula Future Forum. "It's not a serious or sincere gesture to denuclearize." The North Korean leader returned home from historic talks with his South Korean counterpart in a limousine surrounded by jogging security guards.